Welcome to my Best of 2015 Giveaway hop! 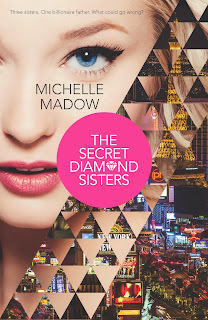 The final book in my The Secret Diamond Sisters series, Diamonds are Forever, released in October 2015, so for my giveaway, I'm giving a choice of any one book in The Secret Diamond Sisters trilogy! The Rafflecopter is at the bottom of the book description. The giveaway is international, as long as ou live in a country where Book Depository ships to. To see a list of the rest of the giveaways in this hop, CLICK HERE. Thanks for sharing excellent information’s. Your web-site is so cool. I’m impressed by the details that you have on this blog. It reveals how nicely you understand this subject. Bookmarked this web page, will come back for more articles.